Ultimate Fighting Championship (UFC) color commentator Joe Rogan has given Justin Gaethje quite the distinction. 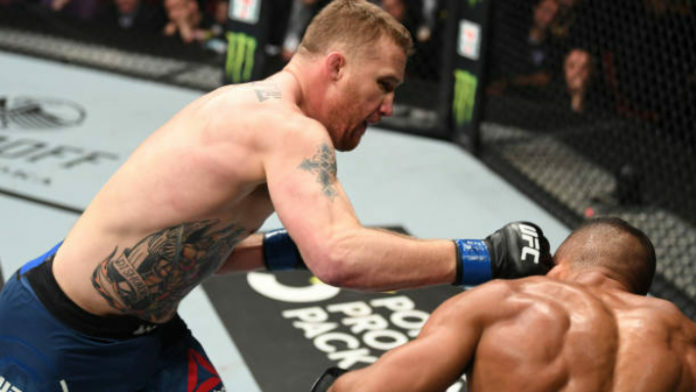 This past Saturday night (March 30), Gaethje took center stage against Edson Barboza in the main event of UFC on ESPN 2. As expected, both men were trading leg kicks early and wasted little time exchanging punches. Barboza was wobbled a couple of times before eating a hook from hell that put him to sleep. Gaethje emerged victorious in just two minutes and 30 seconds. Gaethje has yet to step outside the Octagon without nabbing a bonus. UFC Philadelphia was no exception as he scooped up an extra $50,000 for “Fight of the Night.” Gaethje has competed under the UFC banner five times.